An Indiana witness in Crawford County reported watching and photographing “three, bright, white, hovering orbs” in a triangle formation, according to testimony in Case 76612 from the Mutual UFO Network (MUFON) witness reporting database. 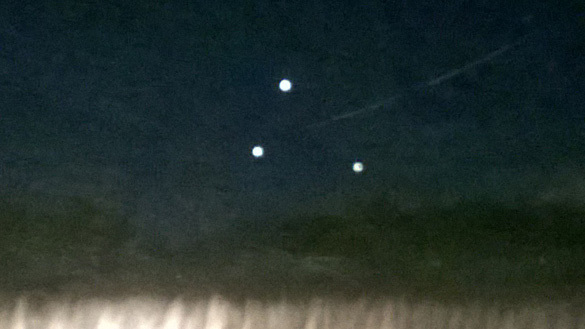 The witness was out driving at 3 a.m. on March 2, 2015, when three orbs were noticed in the sky. The witness was on the phone with a friend and the call kept dropping, but was detailing to the friend exactly what was being seen. The report was filed with MUFON on May 26, 2016. Indiana Field Investigator Patrick O’Brien investigated this case and closed it as an Unknown. 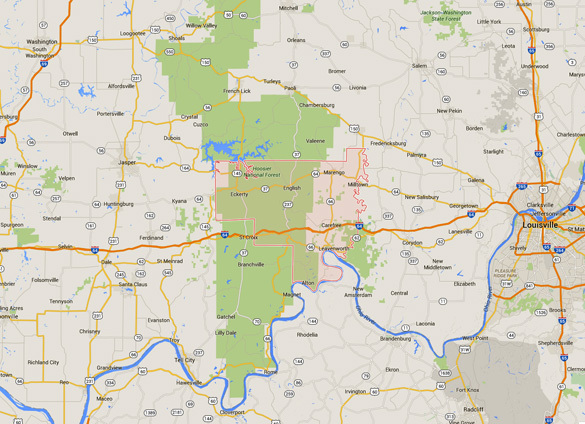 Crawford County, IN, has a population of 10,713. Please remember that most UFO sightings can be explained as something natural or man-made. The above quotes were edited for clarity. Please report UFO activity to MUFON.com. Was this taken in eckerty near a house that sits in the field? I lived near there and I saw the same thing but in a straight line just above the tree line many years ago. 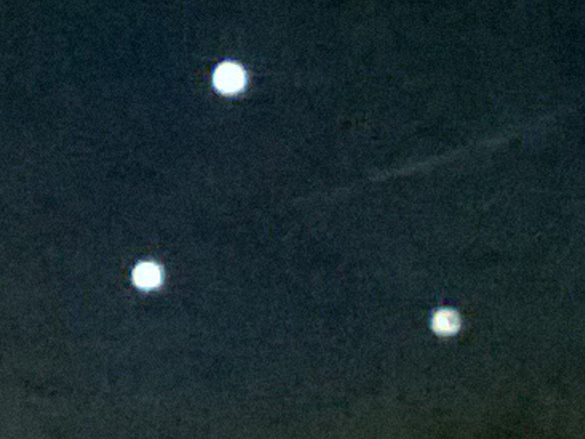 Recently about 3 weeks ago my bf saw the same orbs but only 2.